A new element has been discovered, the chemical element ruthenium (Ru) is the fourth element to have unique magnetic properties at room temperature. The study, published in the journal Nature Communications, opens the door to fundamental studies of this new ferromagnetic Ru. Magnetic materials are very important in industry and modern technology and have been used for fundamental studies and in many everyday applications such as sensors, electric motors, generators, hard disk media, and most recently spintronic memories. As thin film growth has improved over the past few decades, so has the ability to control the structure of crystal lattices - or even force structures that are impossible in nature. Researchers showed that Ru can be the fourth single element ferromagnetic material by using ultra-thin films to force the ferromagnetic phase. "We are excited and grateful to be the first group to experimentally demonstrate and add the fourth ferromagnetic element at room temperature to the periodic table," said Jian-Ping Wang, a professor at the University of Minnesota. "The ability to manipulate and characterize matter at the atomic scale is the cornerstone of modern information technology," said Paul Voyles, a professor at the University of Wisconsin-Madison. Magnetic recording is still the dominant player in data storage technology, but magnetic based random-access memory and computing is beginning to take its place. These magnetic memories and logic devices put additional constraints on the magnetic materials, where data is stored and computed, compared to traditional hard disk media magnetic materials. 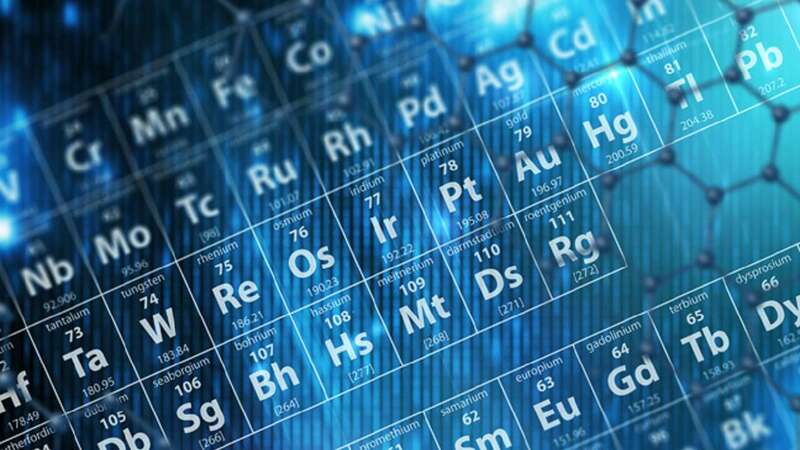 This push for novel materials has led to renewed interest in attempts to realise predictions which show that under the right conditions, non-ferromagnetic materials, such as Ru, palladium (Pd) and osmium (Os) can become ferromagnetic. Building upon the established theoretical predictions, researchers used seed layer engineering to force the tetragonal phase of Ru, which prefers to have a hexagonal configuration, and observed the first instance of ferromagnetism in a single element at room temperature.